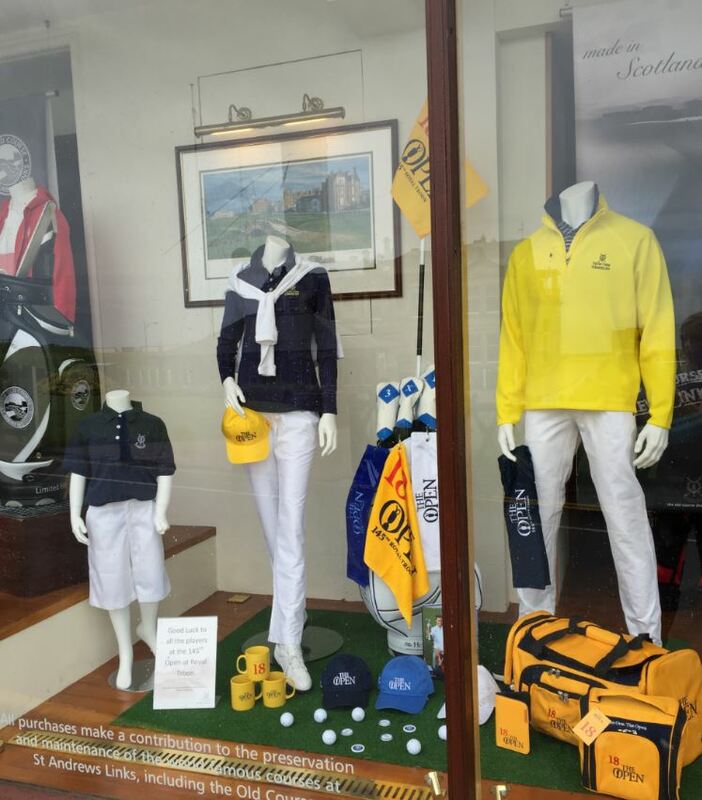 Our retail offering at the Home of Golf has grown significantly over the years with five shops operating here in St Andrews. In line with a large increase in customers, it’s crucial to react to changes within the market to keep up with current trends and consumer demand. In visual merchandising you always have to be one step ahead; our journey begins well before the product arrives on the shop floor. We work closely with the buying team, warehouse and shop floor staff. Our process begins in the winter when we create a story board for each of our shops incorporating the clothing collections that have been bought by the buying team for that season. Using individual shop floor plans we allocate space for each brand. 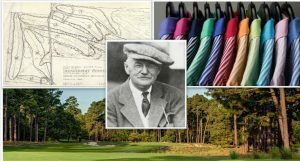 Each shop contains similar stock but in differing colour stories, for example, the Old Course shop is our flagship and largest store and therefore is home to the widest selection of brands and colours in both Men’s, Ladies’ and Kids’ clothing. 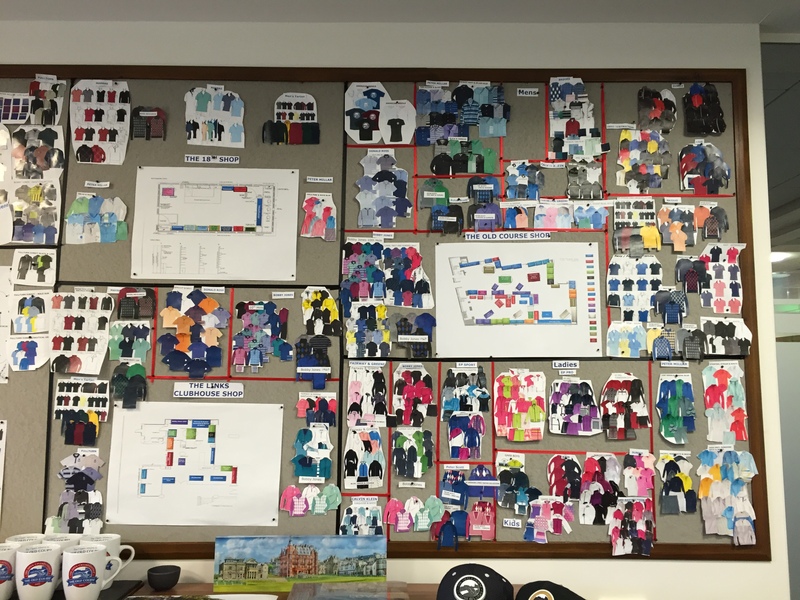 The final story boards help give our shop staff an insight into that season’s collections, where it will be positioned and in which particular shop. Working with the warehouse team is part of our daily routine; they let us know what stock has come in and what’s expected so that we can plan ahead. Ideals are then set up on our system so that when the stock is ready to be picked it will go out to the relevant shop. As soon as the stock has been delivered to the warehouse it’s counted, booked in, picked and then it’s ready for us. We unpack the stock and the warehouse team then take it down to the shops late afternoon so that it’s ready for us first thing in the morning; this helps speed up our process of getting it on the shop floor. Our shops are at their busiest in the summer months with as many as 400 visitors stepping through the doors each day. We start around 6am at this time of year to get as much done as possible ahead of opening and to cause as little disturbance as possible to both staff and customer. All of our stock is steamed and folded with our own bespoke branded tissue paper before it’s put out on display, grouping all our collections together by brand and colour stories. Constant sales analysis is important to identify what is selling well and what is not. 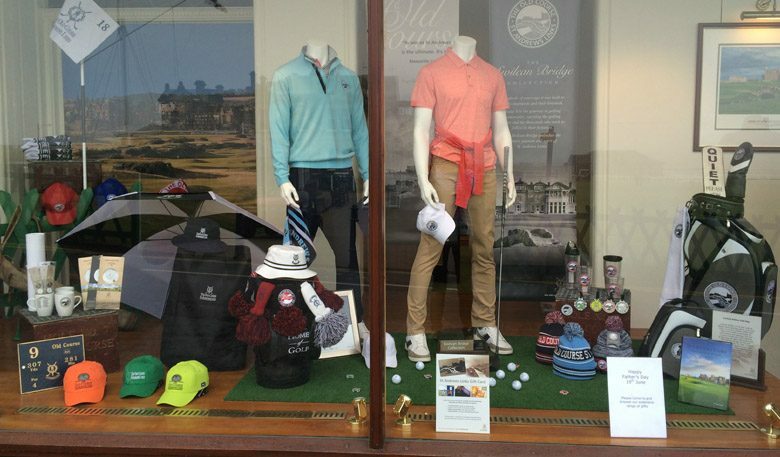 We react to this by changing store displays, floor mannequins and shop window displays. In doing so we can help influence sales of key products. 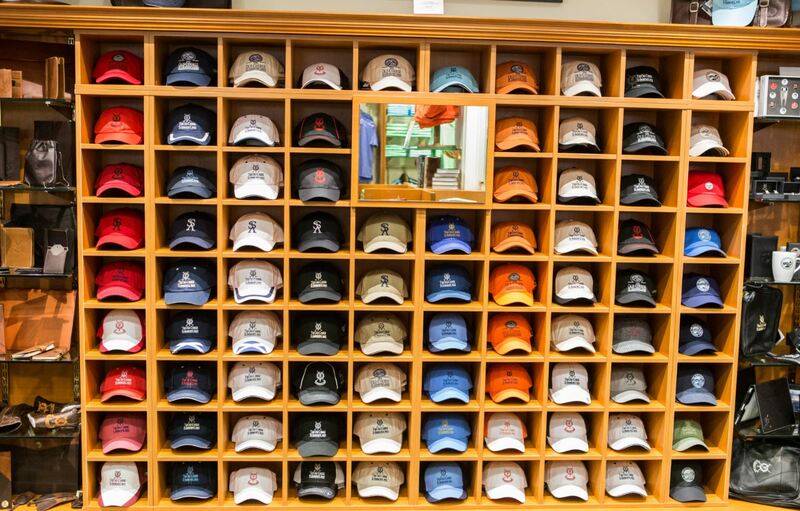 We sell around 40,000 baseball caps each season and around 20,000 towels. 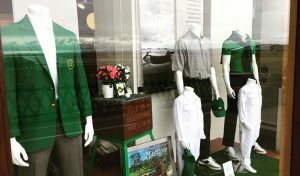 Shop window displays are also a big feature for us. 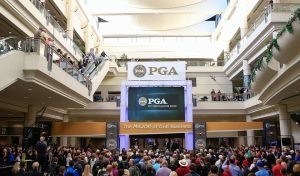 We work to a merchandise calendar and plan the displays around seasonal holidays and, of course, big events on the golfing calendar.